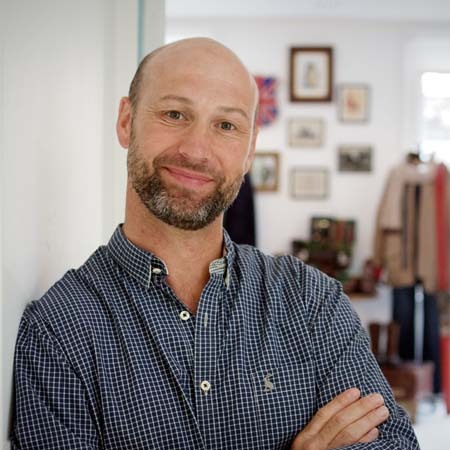 Tom Joules launched ‘Joules’ in 1989 after learning the ropes from his father at Joule & Son, where they predominantly sold at country shows. The first shop opened in Market Harborough and now the growing brand has outlets and stockists across the country, with stores in the popular Norfolk shopping destinations of Holt and Burnham Market. Tom and his family love to visit the area with it’s vast beaches and big open skies. Crabbing at Blakeney is one of their favourite pastimes. Bayfield Hall for unique antiques and collectables, Bringing the Outside In at Holkham for great gifts. Start out at Cley-next-the-Sea and walk to Blakeney Point, great for views and seeing amazing wildlife. Holkham Beach – Great for everything, walking the dog, picnics and a game of rounders with my children. The Dunn Cow at Cley-next-the-Sea. Celebrating the Queen’s Jubilee on the High Street in Blakeney. It was so lovely to have a good old fashioned street party. Great food, beautiful art, big blue skies and quality time off. The open space, the sea air and the fact that as soon as I arrive, I relax and enjoy the simple things in life, lie-ins, lazy lunches and reading a good book.